Hey guys, welcome to my first post! (Eeek how exciting!) 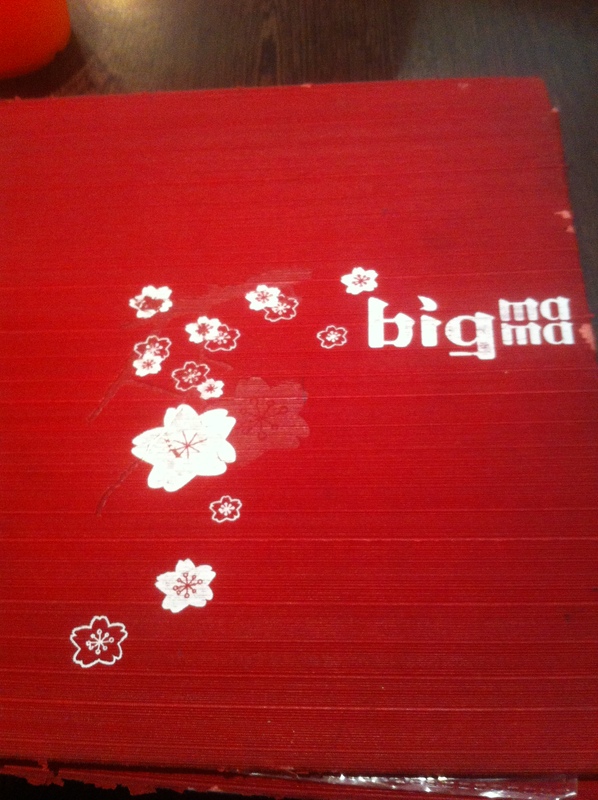 So my best friend C and I went to eat at Big Mama to celebrate the end of her exams. When we walked in, I was confused and disappointed as the waitresses did not walk up to the door to greet us. Instead, they called us from down at the end where the cash registers were and pointed at our table. The staff remained fairly friendly, however a bit reserved and only focused on taking orders instead of catering to their customers. The venue was quite small and congested, and we were placed at a table closest to the kitchen. The sounds of clinking pots, frying pans and chopping knives were distracting… and to be honest, sitting at the back of the restaurant was not the prettiest sight. We went during lunch time so the place was pretty packed and busy. One of the walls was painted a bright red and had a huge flower decor with lights across the wall, matching with the menus and adding a bit of character to the overall restaurant (sorry, no photo!). When looking at the menu, we were pleased to see a great variety of Japanese and Korean food, as well as a lot of my favourite dishes! 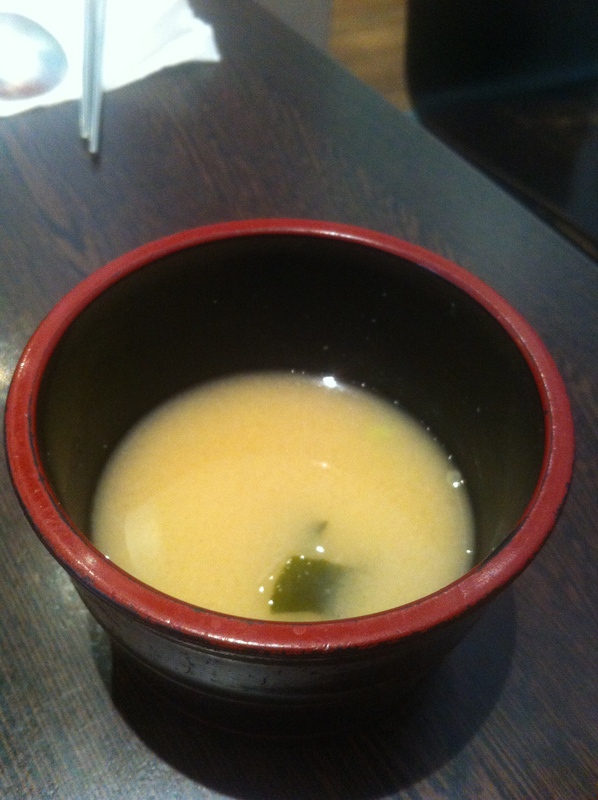 We were given complimentary seaweed soup, which we found quite salty but hey, free food is free food. Our food came out fairly quickly so there wasn’t much of a wait. 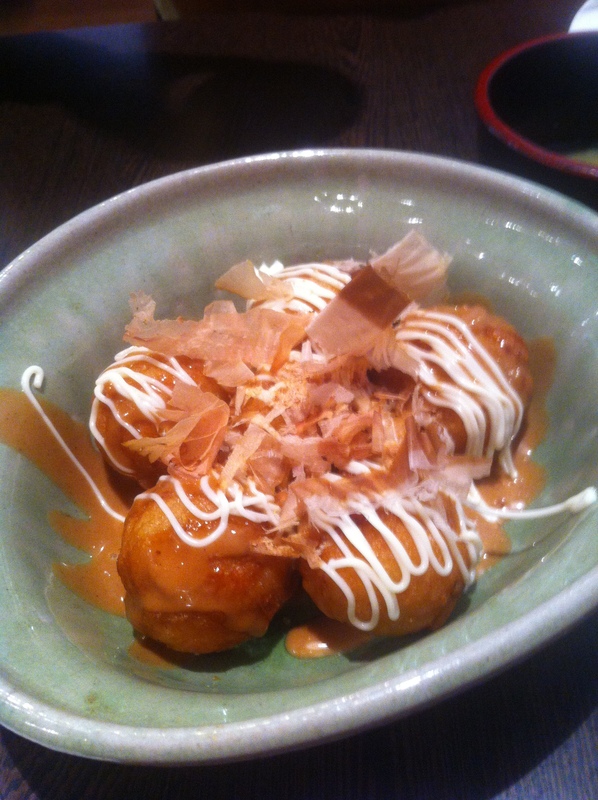 Takoyaki ($7 for 6 pieces) – very delicious, though it would have been even better if the batter was crispier. Their sauce was a bit different to the traditional takoyaki sauce, having a lighter brown colour but it complemented the dish very well. Would recommend (though I am a bit biased as I love takoyaki)! 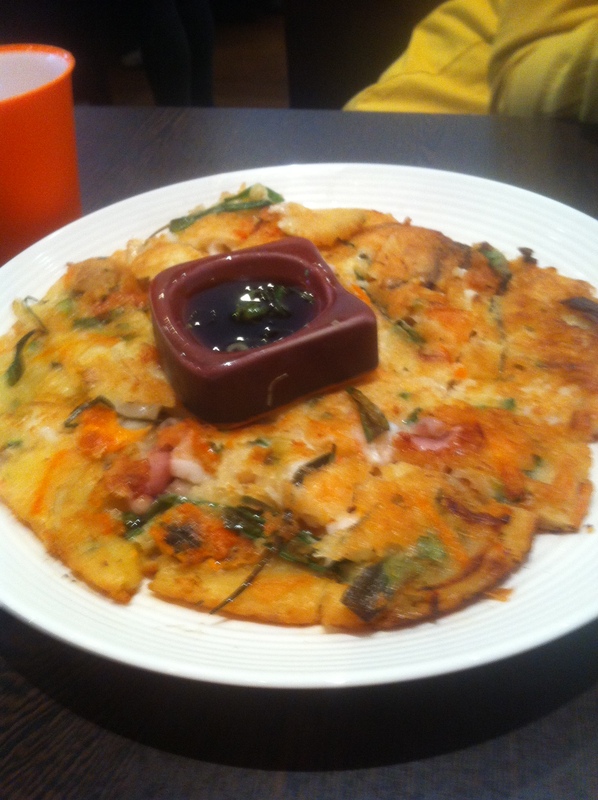 Seafood pa jun/pancake ($13) – this dish was awesome! It was only my second time trying korean pancakes but Big Mama makes it very cripsy and light! Great texture and a generous serving (I suggest sharing this one!). Tok Bok Gi with noodles ($12) – I only took a spoonful of C’s dish but it was pretty amazing! It had a good hit of spiciness, which really lifted the dish. 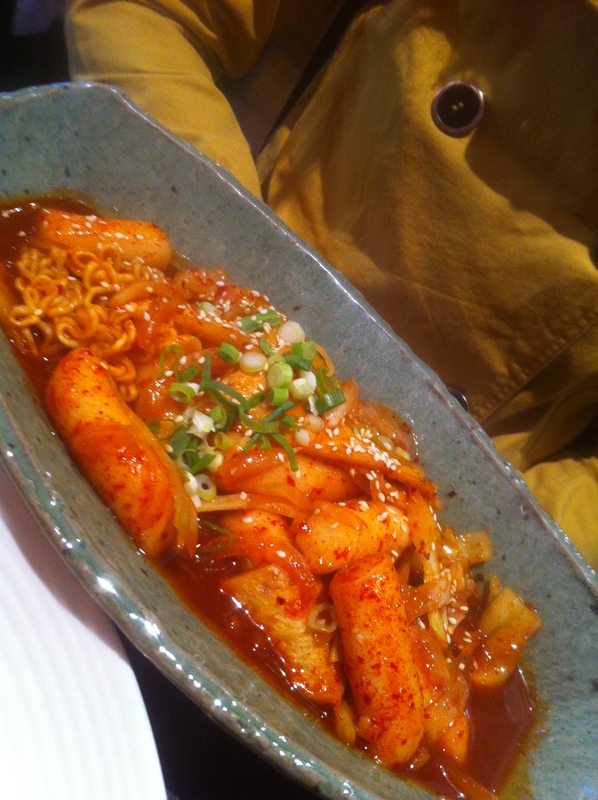 The ricecake was cooked well, and the addition of noodles added a different texture. The noodles were cooked… could you say al dente? So it balanced out the heaviness of the ricecake. 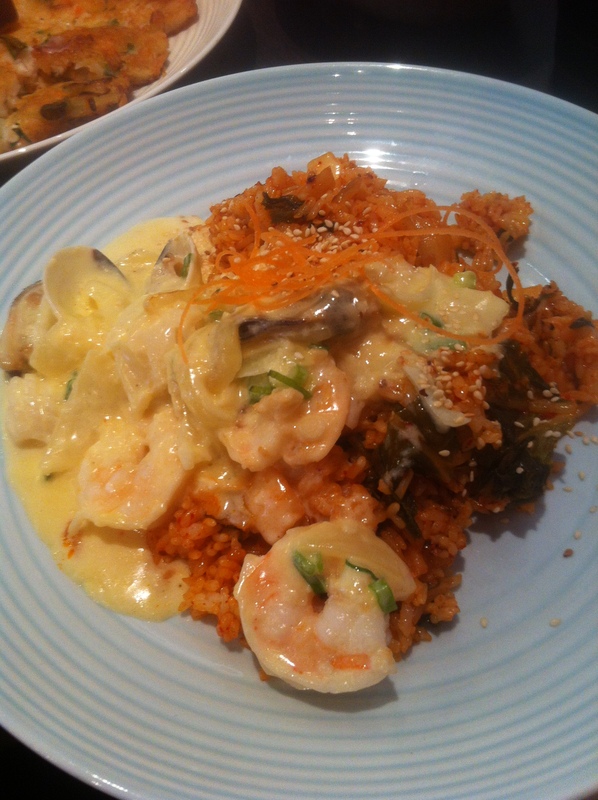 Cream garlic prawn & kimchi fried rice ($15) – The combination between the cream sauce and the kimchi fried rice worked well together, so it was quite tasty… until I was about halfway through the dish. It started to get really sickening and one of the clams was closed so I couldn’t eat it, I was disappointed with this one. As you can see, when C and I eat, we feast haha. The food was so filling that it kept me out of hunger until the next day, no joke. I didn’t eat for another 28 hours after this… I guess my tummy was satisfied? Overall, I was quite pleased with Big Mama’s reasonably priced food and its great location (down the road from Melbourne Central, passed the bath house). It’s a great go-to place when you’re in need of a quick Korean fix on your lunch breaks (though I can’t speak for their Japanese mains just yet, next time! ).